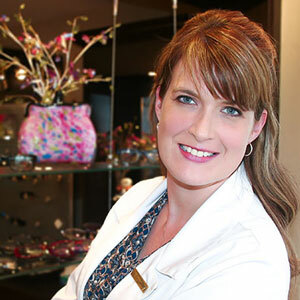 Dr. Deschênes is a great asset to our clinics not only because of her expertise with refractive surgery care, but also because of her extensive clinical experience with patients of all ages. It is with personal conviction that Dr. Deschênes assures the best possible care to her patients by staying abreast of newest technologies and of course by listening to her patients. She has been living in the Ottawa region since her childhood and is now very happy to be able to serve the community where she’s grown up. Whether it is in English or in French, from the youngest to the oldest, all will appreciate her devotion. • Dr. Deschênes works with the Focus Eye Centre in Ottawa, in pre and post operative care! Dr. Deschênes’s professional interests include pre and post operative care for refractive surgery, paediatric eye exams, and complete refractive care for all ages. Dr. Deschênes loves spending time with her 3 kids and husband at their Dairy Farm!